Plan a community clean-up project with a twist.. or a list. A scavenger hunt list, that is. Want to add a bit of entertainment and a little competition for a dirty job? 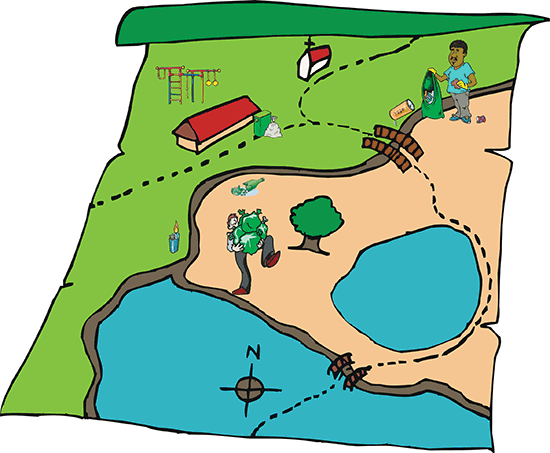 Have a scavenger hunt for litter! It's a great way to get your community involved in a clean-up event. The rewards are endless for a job well done; however a prize for the winner with the most points is even better! It's UP2U to take pride were you live, play, or work…together we can make a visible difference! Downloadable resources below are available in the PDF format. It's UP2U to dispose of litter responsibly.